A simple integrated circuit that carries the central processing unit of a computer is the Microprocessor. Are you not fascinated to know what the history behind the invention of this tool is? If yes, this write up will help you know completely about how it was designed and the brains behind the scene. Before you know about the invention history of a microprocessor, let us check out what a real microprocessor is and what it does. Microprocessors are integrated chips used in personal computers, other electronic devices like clocks, radios, remotes, washing machines and so on. They are commonly employed in computing and monitoring systems. 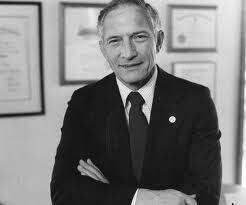 Robert Noyce and Gordon Moore were working for the Fairchild semiconductors. They were not satisfied with the company like many others there. They decided to quit Fairchild and start up with their own company during the year 1968. The companyâ€™s name was decided as Moore Noyce but since there was already a trademark on that name, they finally chose Intel. As most of you are familiar with, the name Intel emerged as a short form of â€˜Integrated electronicsâ€™. As soon as Moore and Noyce initiated the company, Noyce proposed an idea which was his first motto to be made successful with Intel. With his proposal, he succeeded in convincing Art Rock. Rock was a capitalist who belonged to San Francisco. Art Rock raised a capita of about 2.5 million dollars in a couple of days. By the month of November in 1971, Intel introduced its first single chip microprocessor. 3103 Schottky bipolar 64-bit random access memory chip(SRAM) was the Intelâ€™s first commercialized product. Marcian Edward Ted Hoff was recruited at Intel by Robert Noyce. In 1967, Ted finished his doctorate in electrical engineering. Noyce conveyed his wish to have Ted as a part of Intel through a phone call. That must be the luckiest and most important call for Ted that led him through the path breaking discovery. When Noyce interviewed Ted, he rightly caught Noyceâ€™s idea of making a memory chip. He was then appointed with Intel. He was the Intel employee number 12. It was in 1969 that Intel was approached by something big. The BUSICOM Company of Japan, wanted to be on par with Intel. It intruded for the purchase of newly designed chips. The main requirement of BUSICOM was a set of twelve integrated circuits to power up calculators. Ted thought of trying to concise the twelve pieces and assemble together into a single chip. The replacement of separate chips by read only memory was his basic plan. His idea was then buried underground as the Japanese were sure with their need. They did not want to shuffle up their ideas into something new and which sounded strange for them. However, after a few discussions, everyone decided to go with Tedâ€™s new innovation. Intel struggled a lot in convincing the Japanese company by explaining all the benefits that will come out of Tedâ€™s innovation. 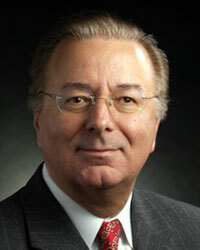 In a time period of about nine months, a team of Intel engineers led by Federico Faggin helped to convert Tedâ€™s idea as a complete hardware. It contained 2108 to 2300 transistors. It satisfied the same level of computing power that was offered by 30 tons weighing ENIAC. It occupied a space of about 3000 cubic feet. It measured about 1/8th of an inch in length and 1/6th of an inch in width. It used about 18,000 vacuum tubes. 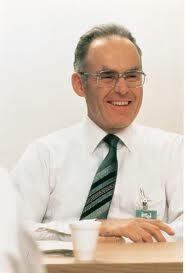 He succeeded by producing a four chip system which was based on the Intel 4004 microprocessor. In the beginning, microprocessors were used by very few people for a handful of electrical and electronic devices. This was mainly because of the reason that the microprocessors were found to be expensive. Most probably, integrated circuits on different chips were used which were cost effective and reliable. And, it is also a fact that microprocessors were considered to be highly specific that would not fit into a large range of devices. All these false beliefs were later proved to be wrong. In a time period of about nine months, a team of Intel engineers, 4004 was first designed for the Japanese company BUSICOM. Hoff says that the first microprocessor was an industrial controller. It was used only as embedded controllers in automated gas pumps. There was no one who really thought of making use of these microprocessors in personal computers. Only by 1970s, there rose some remodeling in the tool and gave rise to modern microprocessors. It is an amazing fact that the modern microprocessors contain about a large range of microprocessors which count in millions. The Intel 4004 microprocessor replaced all the basic essentials of a computer like central processing unit, memory unit, input and output devices. It was a fair invention that had greatly reduced the size of computers which occupied a roomâ€™s space in the past to an adultâ€™s palmâ€™s space in the present. This was then called as the Mooreâ€™s law. Moore did not roughly state that the number of transistors inside a computer will increase two in numbers every couple of years. There must be thorough analyses behind the statement that was made by him. But then, it is to be accepted that the theory is proved true forever. 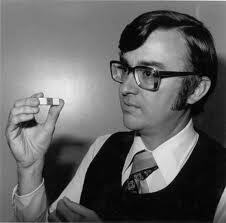 Though the microprocessors are now found everywhere, its further development is looked forward by Ted Hoff. He is highly motivated towards the use of microprocessors in automobiles than in personal computers and notebooks. He keeps track on these microprocessors and programs them to solve his problems. Even in the present times, he hasnâ€™t stopped working on related projects which he believes may enhance the versatility of electrical engineering. Amazing information about invention history of microprocessors. I am really appreciating you for sharing this information.